Join us for a workshop sure to set your tablescape apart this holiday season! 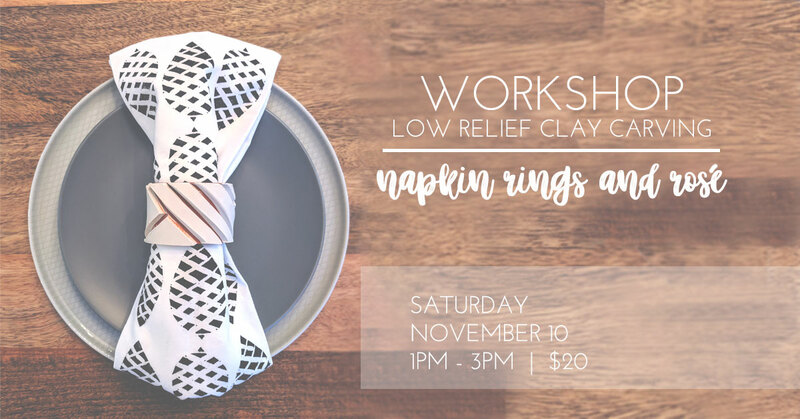 In this class, led by Karisa Cole of Ribbon + Roving, you’ll learn to carve low-relief designs into polymer clay to create your own set of napkin rings! -This is a great follow-up class from our cloth block printing workshop held in October – hint. hint. All supplies are included for this class -as well as rosé all day!